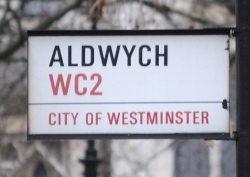 The origins of the name of this part of central London, to the west of the City, lie in the fact that the Fleet River runs through the area (albeit, since the 18th century, underground). Mentioned as far back as the 950s, the name Holborn comes from the Old English “hol” or “holh” (“hollow”) and “burne” or “bourne” (“stream”) and means the “stream in the hollow” with the hollow in this case being the valley over which the Holborn Viaduct was built in the 1860s. The term ‘Holburne’ was either used to refer to a tributary of the Fleet or part of the river itself. There was a bridge which apparently bore the same name and spanned either the Fleet or its tributary up until the river was covered. The street now known as High Holborn – the main street in the area – was originally a Roman road and by the 19th century had become a centre for the entertainment industry featuring theatres, restaurants and pubs (including one of our favorites, the Cittee of Yorke). The street is also home to the Holborn Bar, which marked the boundary of the City of London and was once site of a toll gate – it’s now the site of the Royal Fusilier’s War Memorial. 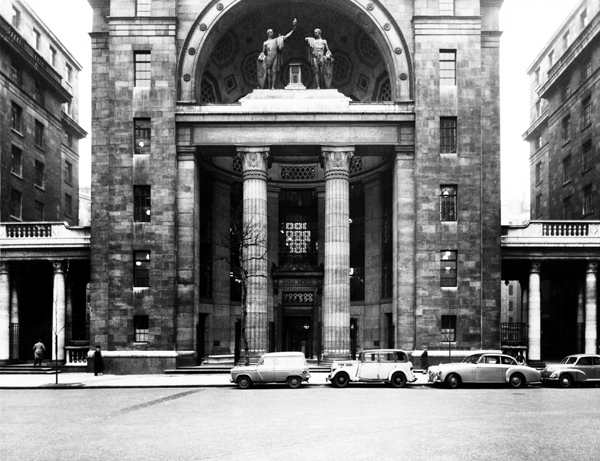 Other famous monuments in the area include an equestrian statue of Prince Albert – the City of London’s official statue of him – which was removed from its position in the centre of Holborn Circus in the east of the area to a new position on the western side of the intersection during a renovation last year. Now dominated by offices and some shopping precincts (these include a street market in Leather Lane), among other notable buildings are pre-Great Fire of London survivor Staple Inn (see our earlier post here), churches including St Andrew Holborn, and St Alban the Martyr, Holborn, and, to the east, St Etheldreda’s Church (see our earlier post here) and Ye Olde Mitre pub (see our earlier post here). 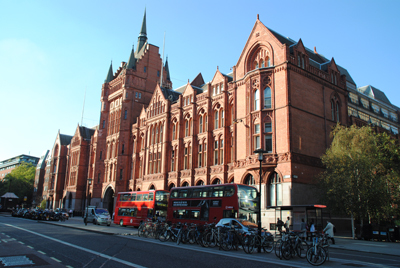 The area is also home to the Inns of Court Lincoln’s Inn and Gray’s Inn and the Grade II*-listed Prudential Assurance Building (pictured above), constructed on the former site of Furnival’s Inn in the late 19th century/early 20th century, as well as Hatton Garden, famous for being the centre of London’s jewellery trade.